Really pleased with the bamboo bathrobe. Was also pleased with how truly white it was as I thought the bamboo might be a cream colour. I think some towels will be next on our list! Thank you for the towels which arrived yesterday only 2 days after I placed the order. Your service is excellent and the towels are beautiful. Great customer service to all questions and prompt delivery. 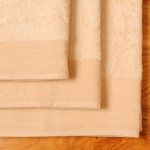 The bamboo towels are incredibly soft and are GOTS certified in comparison to other suppliers, as well as the size of the bath sheets being bigger than average. I wanted to buy a set of easy, soft and chemical free towels ready for my newborn and they fit the bill perfectly! very pleased ……. thanks for your very prompt and efficient service. miles superior to cotton only towels. Brilliant customer service. Lovely quality product. I love my new beautiful bamboo bathrobe and towels. They all feel lovely and luxurious. Thank you. Love the quality- worth the postage to the alps. Just to let you know that I have washed and used my towels. I am delighted to tell you that I am very happy with them. Thanks again for your helpful service. Absolutely beautiful. Thank you. HIGHLY RECOMMENDED. These towels are so soft! Really good quality. Great Scarf and promt delivery. Thank you. Beautiful and so soft, will def be buying some more. Super fast delivery and lovely towels. Really good value. Superb quality item, very efficient. Thank you. My mum has your towels and I fell in love with them as they are so soft. Towels arrived this morning, look and feel lovely. Thanks for the prompt service. All aspects perfect, thank you. Thanks so much I received the order today. The products are lovely. The service was fast and efficient. 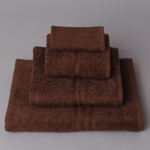 The bamboo towels are extremely soft to the touch and I am very pleased with my purchases. One set of towels are for a friend and I just know she's going to love them as much as I do! Thanks for a great service. Beautiful soft towel and excellent communication. Superfast delivery. I will be coming back for more towels and other items. I am pleased to have found your site as I am very keen on organic, eco–friendly and fairtrade goods. Would recommend to people! I have placed my order based on the information you gave me and can't wait to receive them!! So pleased you have an eco friendly company. Well done and thanks again! Excellent. Thank you again for your great service! Superb customer service and truly wonderful item! Highly recommended. Excellent quality, excellent service. I would recommend for B & B bathrooms like ours. Very good delivery time. Item lovely and soft. Many thanks. Thank you again for all your assistance. If the item had been listed on ebay, I would have submitted positive feedback and a 5 star rating. I recently purchased Bamboo socks and they are lovely, this leading me to purchase my bath towel. Super fast delivery, thanks! Great products! Your delivery of goods was excellent thank you. I love the towel so far, I am very impressed with the quality and as I know the service is fast and I appreciate the service you offer, very kind and attentive. I am very satisfied and I will truly recommend your products to friends and family. Thank you so much. I will certainly be a returning customer.